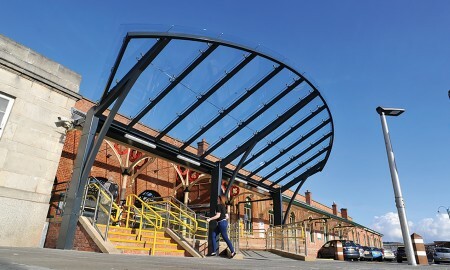 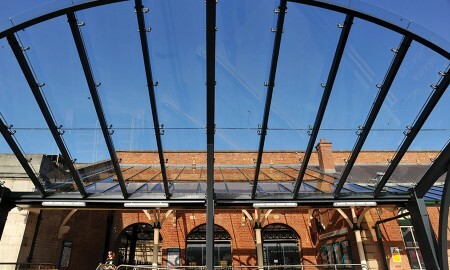 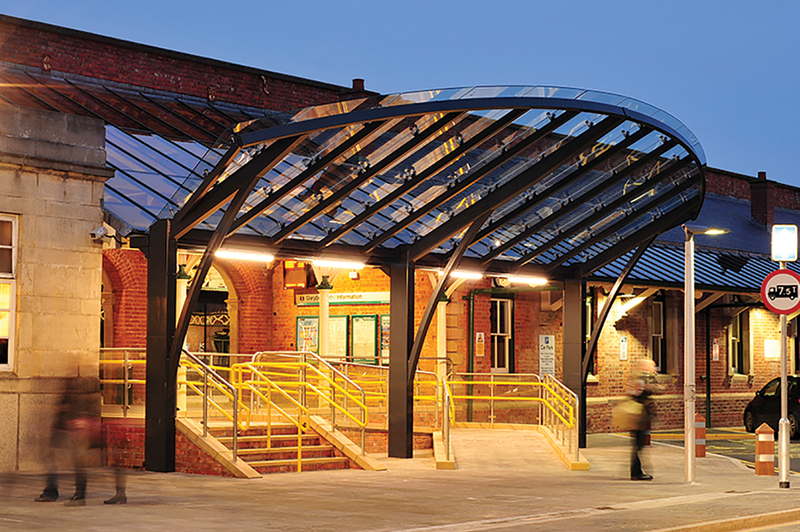 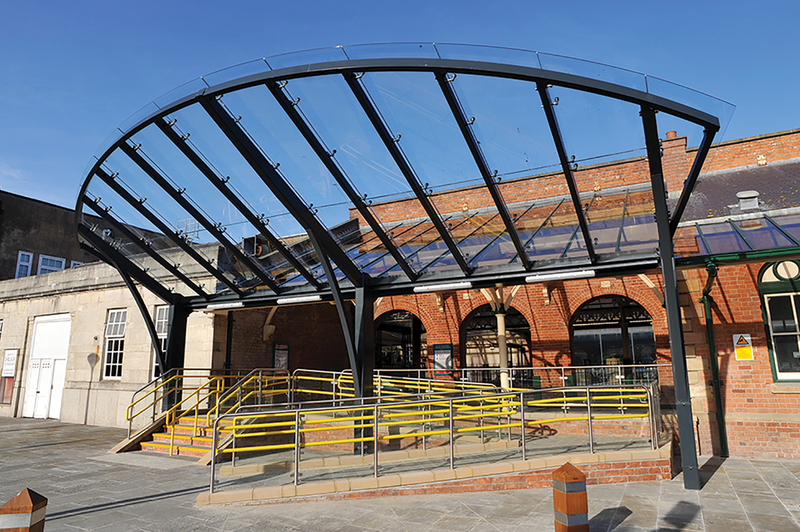 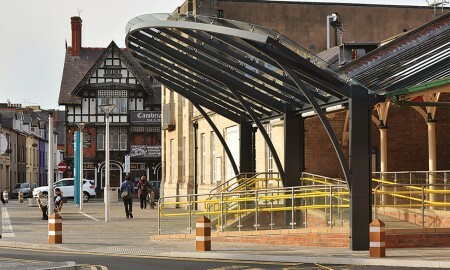 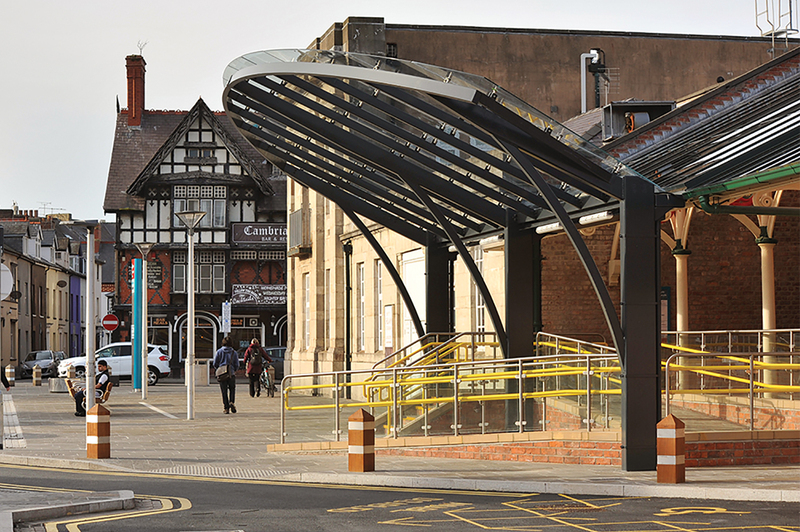 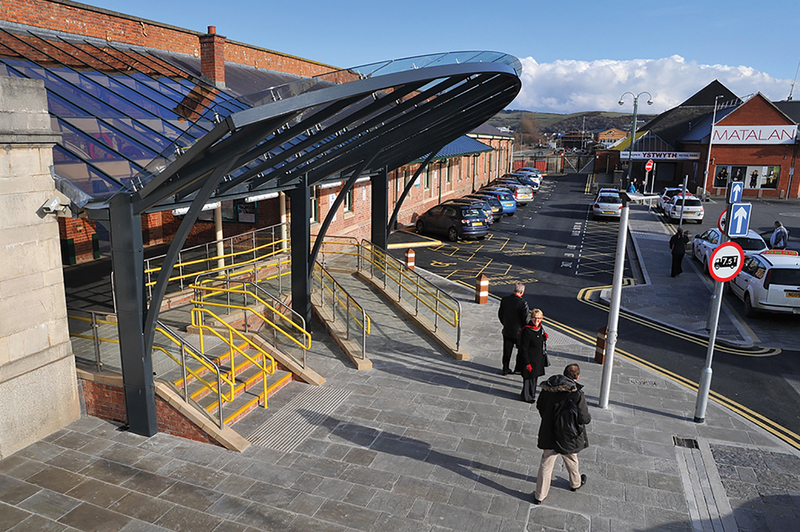 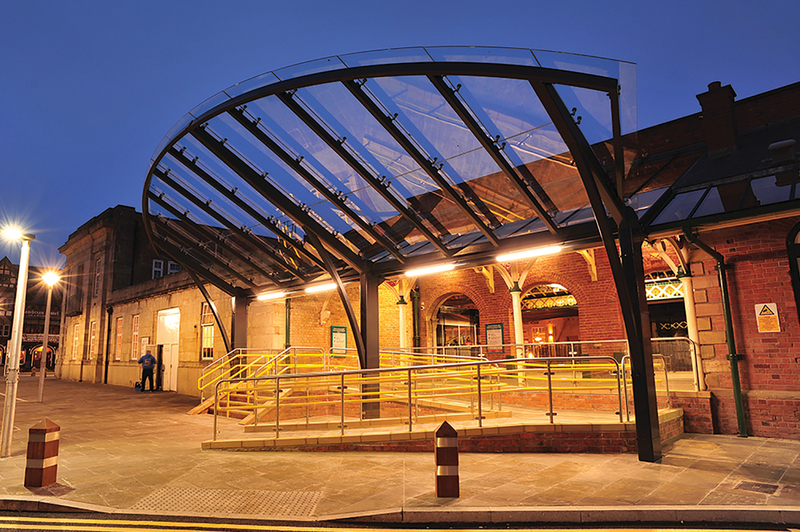 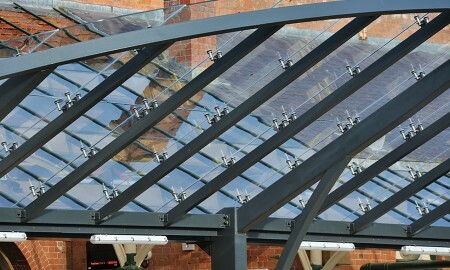 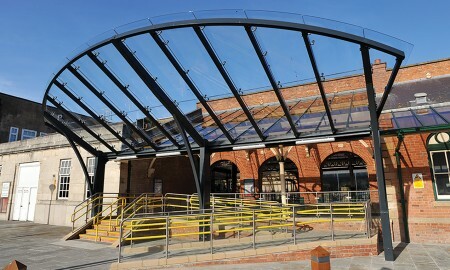 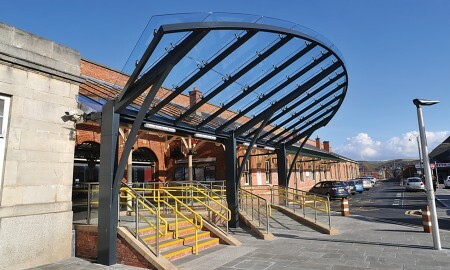 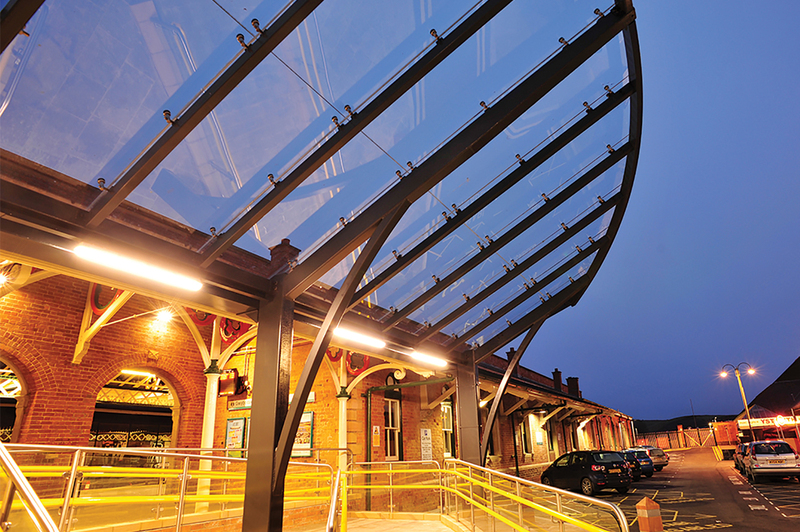 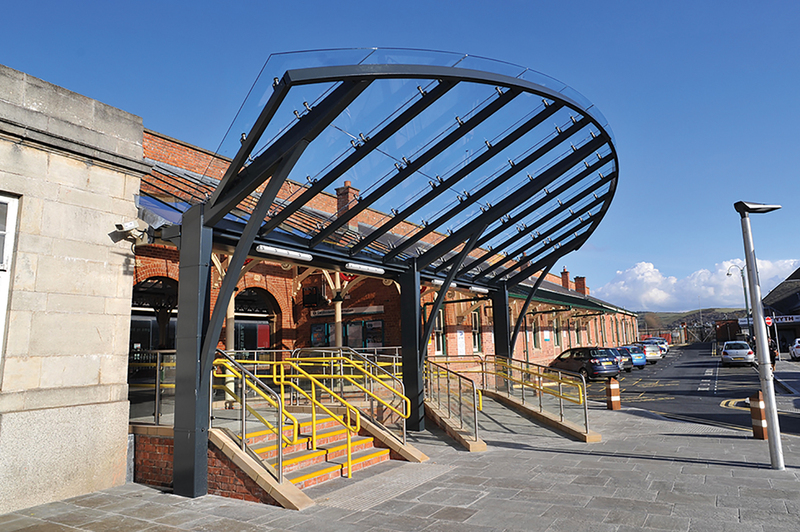 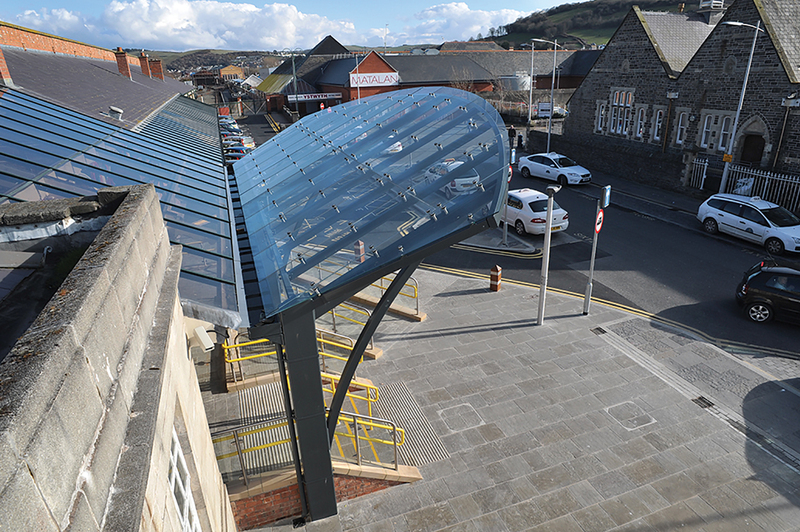 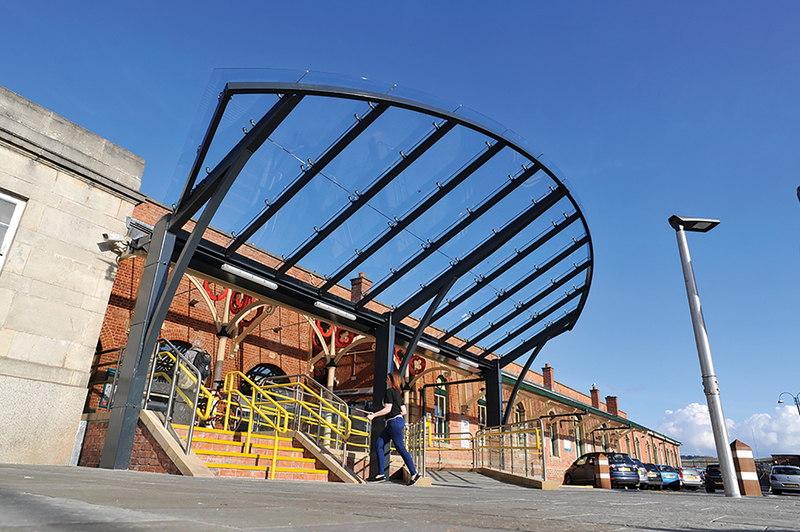 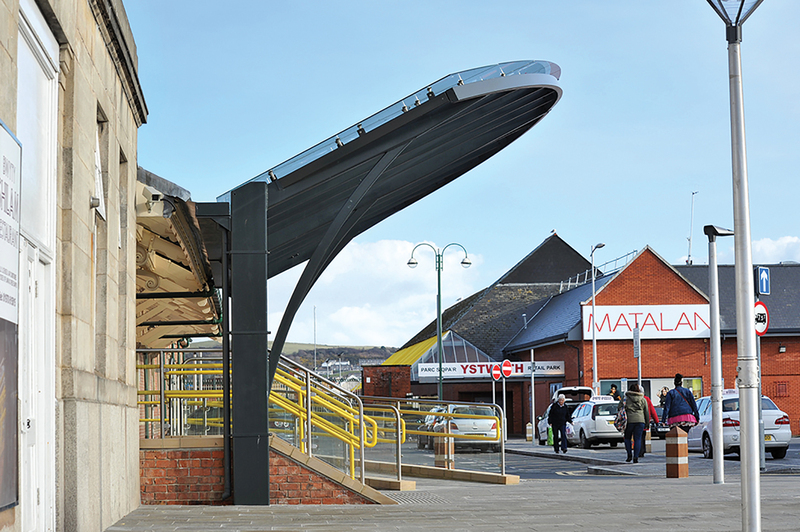 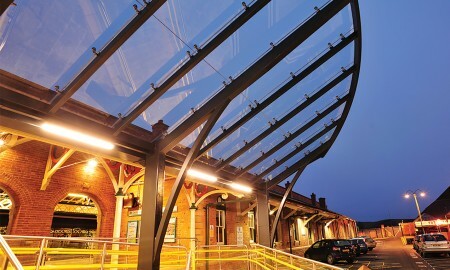 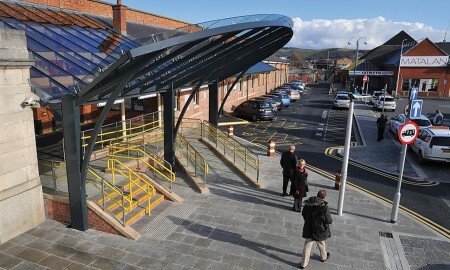 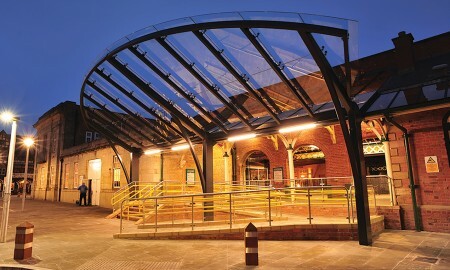 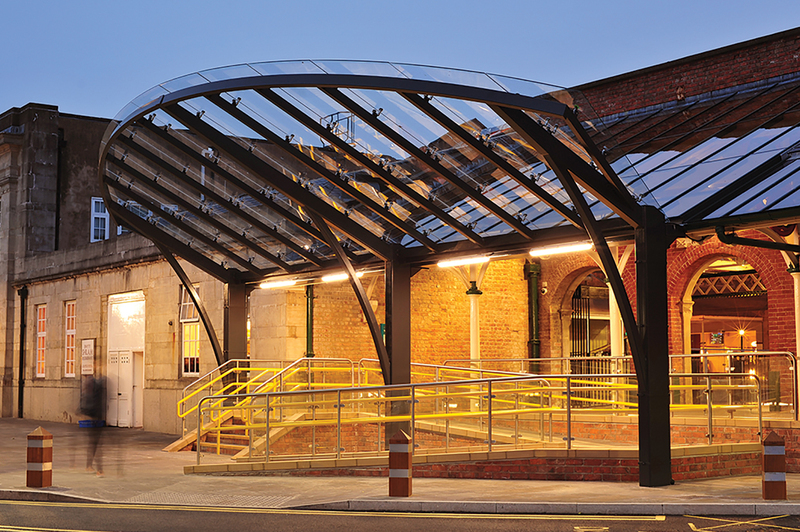 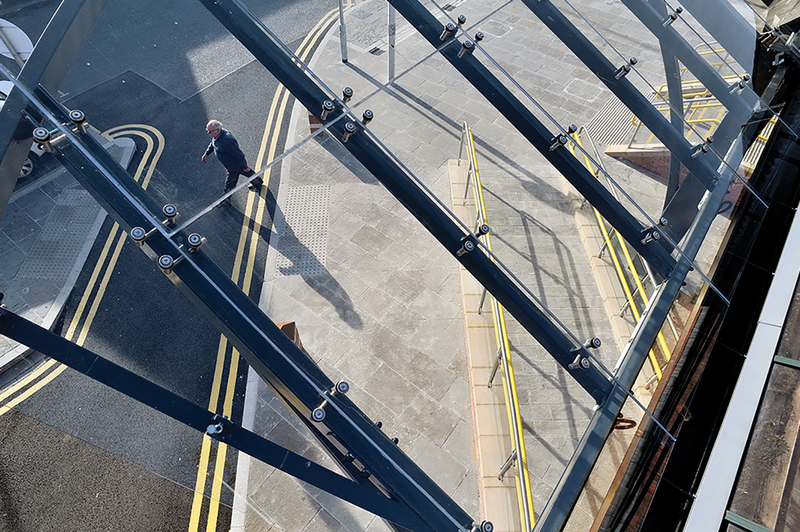 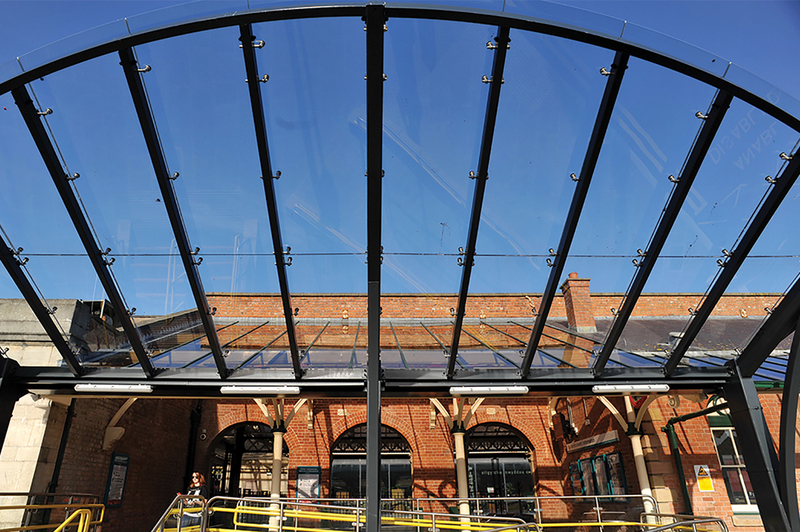 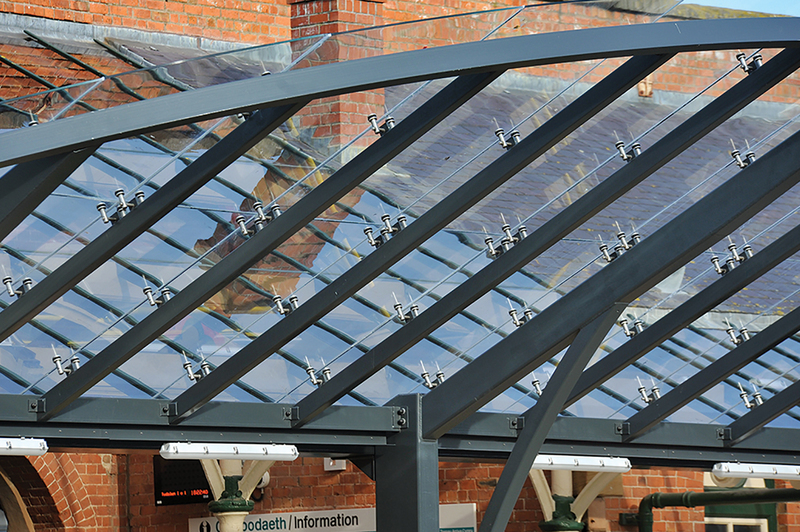 Once approved for construction the canopy was produced and erected over a three week period by Broxap. 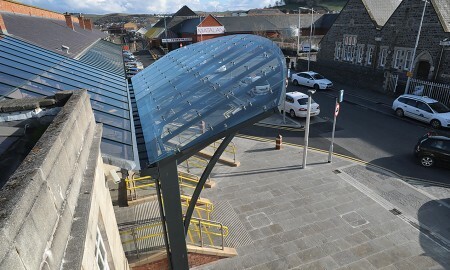 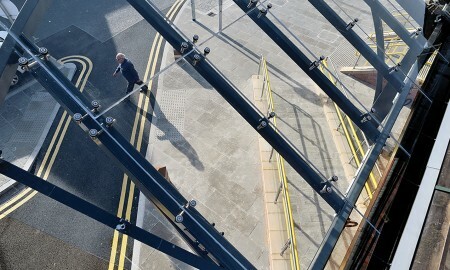 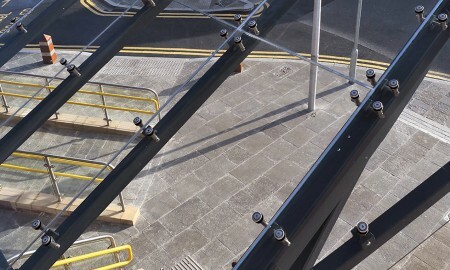 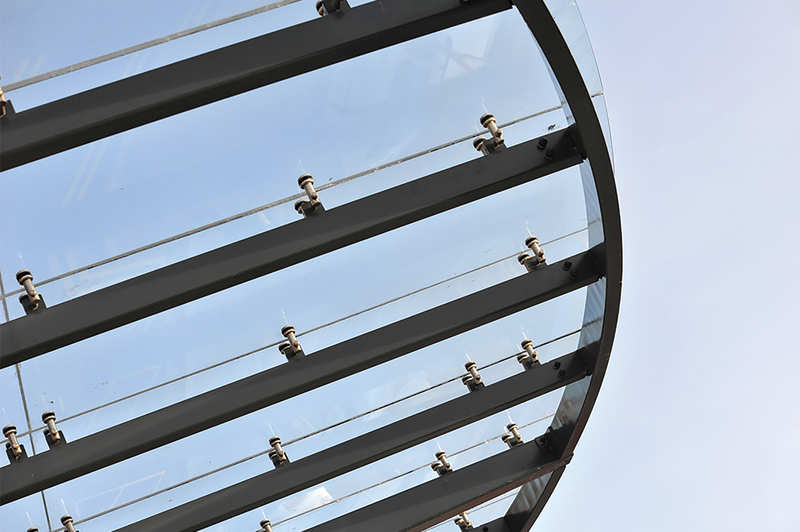 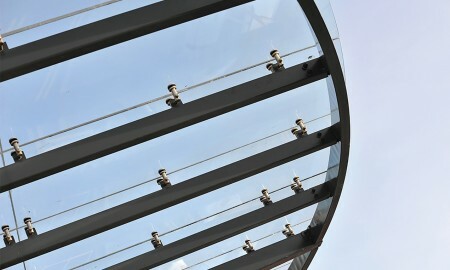 The canopy features a curved ‘fan like’ entrance with heat soaked toughened laminated glass with stainless steel grade 316 glazing spiders, glass joints sealed at time of installation. 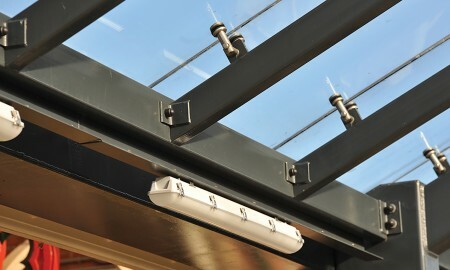 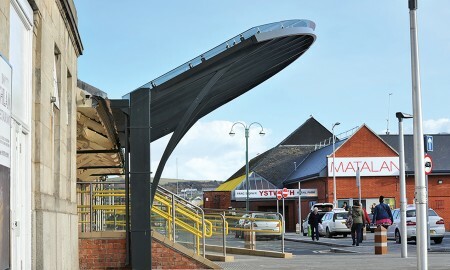 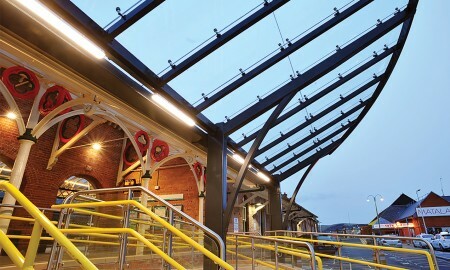 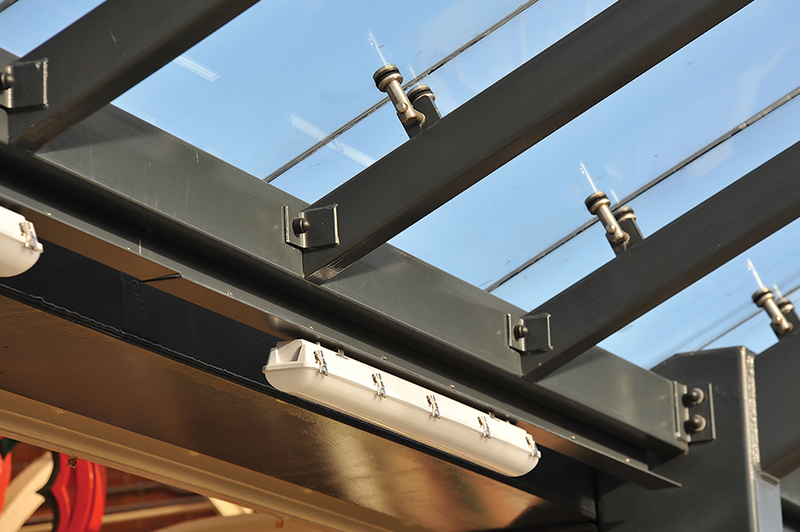 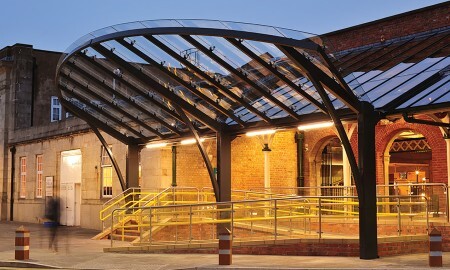 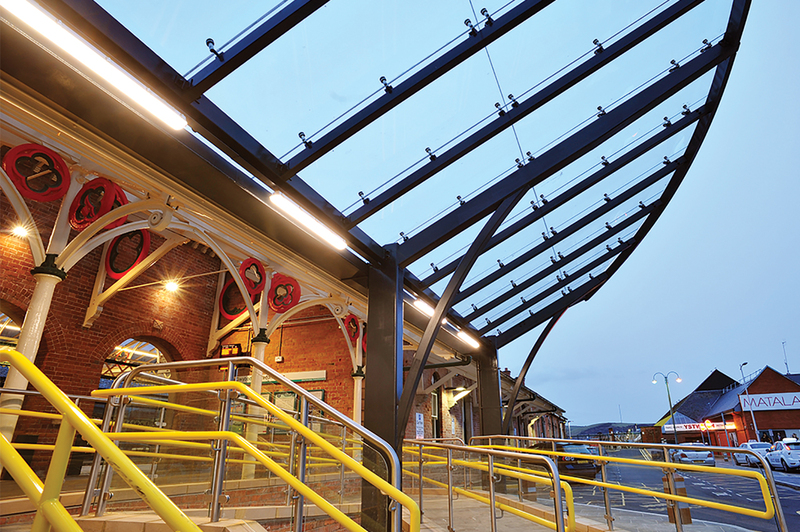 Lighting is provided by XLED LED anti vandal lighting and the canopy has a central gutter and downpipes for rainwater. 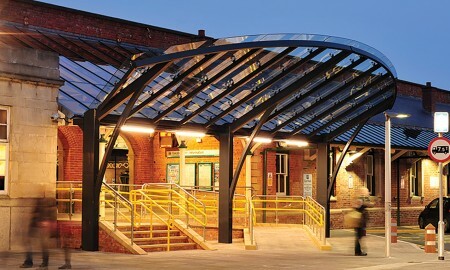 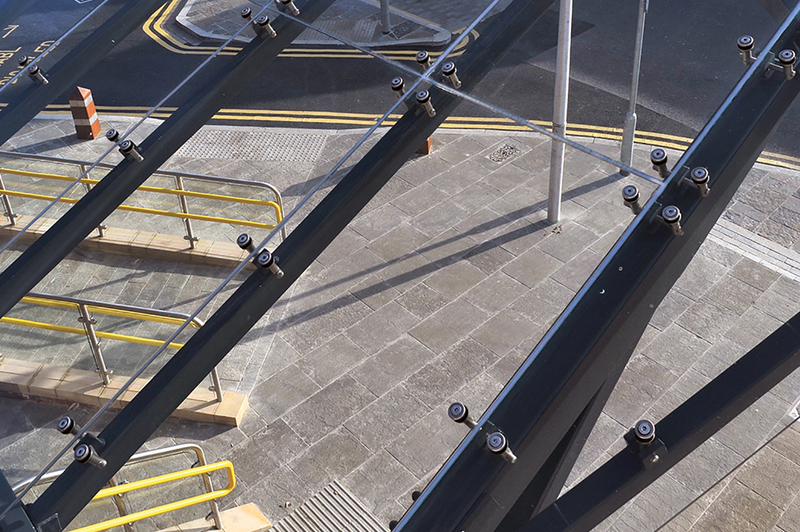 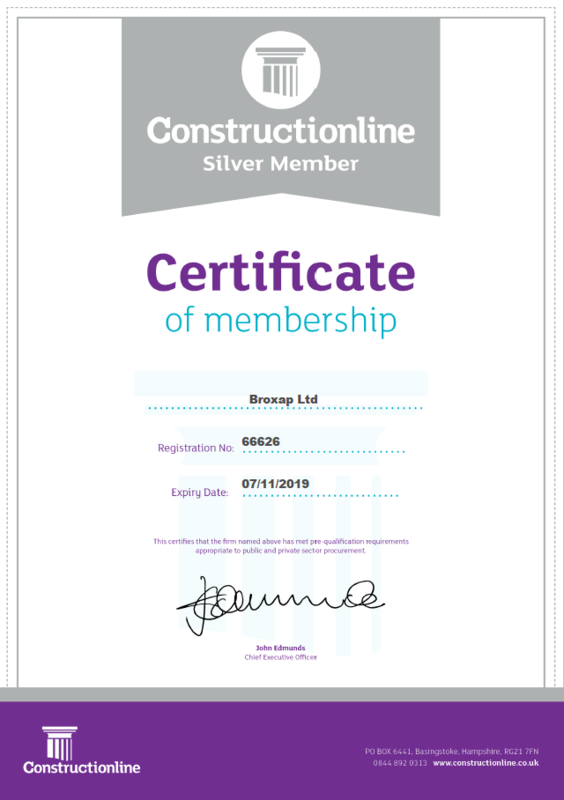 Steel elements are galvanized to BS EN 1461:2009 and powder coated.